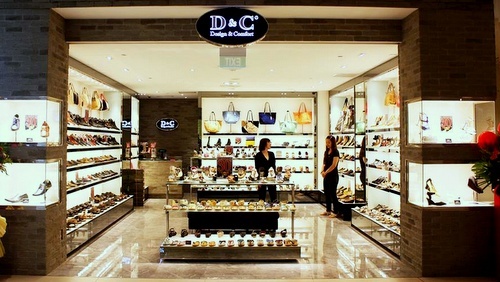 Shoe store chain D&C (Design & Comfort) has 21 locations in Singapore, including one within Hougang Mall (90 Hougang Avenue 10). Established in 1989, D&C specializes in offering high quality ladies’ and men’s footwear. The available shoes are designed by an in-house team of designers, producing stylish, fashionable shoes that follow all the latest trends in footwear. D&C’s shoes are manufactured by dedicated factories located within both Malaysia and China. At the stores, you can choose from men’s formal shoes, men’s casual shoes, women’s high heels, women’s pumps, women’s wedges, women’s sandals, and there is also a selection of women’s D&C handbags. D&C has an official Facebook page for their Singaporean outlets, located at www.facebook.com/DesignComfortSG. Following the Facebook page, you’ll stay updated on the stores’ promotional offers, new shoe collections, and other news related to the outlets in Singapore.